While we join Emeritus Professor of Pacific Languages, John Lynch and his colleagues and family, to wish him an unbelievable 70th Happy Birthday today while he looks 50, he advises all grandparents and parents who know their indigenous languages to speak to their grandchildren and children in their own languages to keep them alive. One indigenous language from Erromango has died with the death of the remaining speaker last year, while many more indigenous languages will die out in the future if they are not spoken, he predicts. He says it is a natural occurrence in the world today when the speakers move away from their villages to study or work and drop their mother tongue. While Bislama and English and French continue to be used as national languages of communication and society continues to change with more intermarriages between couples from different islands and languages, the trend can only lead to the deaths of more indigenous languages. On the other hand the professor cannot see why couples who speak the same language speak to their children in Bislama in the home. “Children will pick up Bislama the moment they step out of the home and it is not as if they are going to drop their indigenous language by speaking Bislama,” he says. He therefore stresses the importance to hold on to one’s language and to speak it in the home. Bislama is spoken at church, at work, in the street and everywhere else. Asked if he believes using Bislama as an official language of communication to help teach children at kindergarten, is going to slow down the learning process of a child, Professor Lynch answers with words to the effect that the teacher has to start to speak to the child in a language that the child already understands. If it is not in Bislama then it has to be in another language that the child speaks. Professor Lynch also speaks the Lenakel language of Tanna and Aneityum language apart from Tok Pisin, Bislama, French and English. 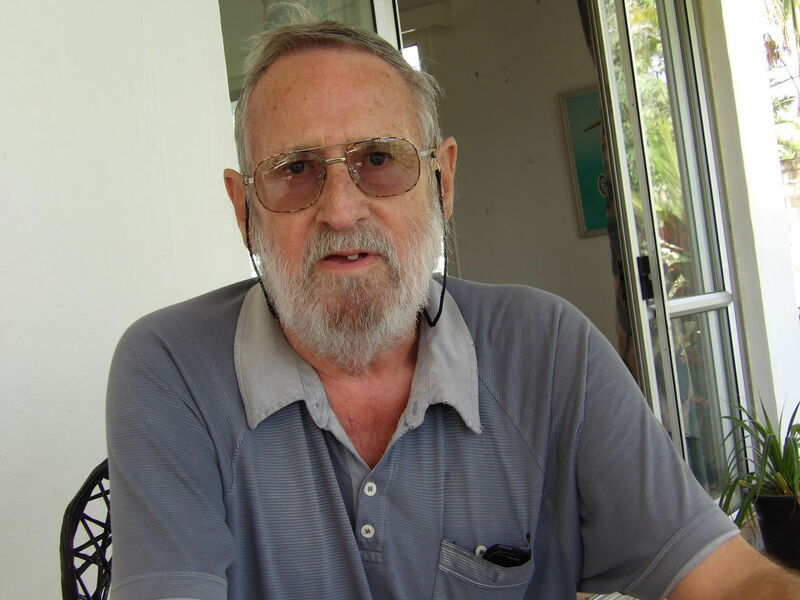 Professor Lynch first arrived in Vanuatu on a research mission in 1968. Prior to settling in Vanuatu and making Port Vila his home, Professor Lynch was the Vice-Chancellor of the University of Papua New Guinea. He joined the staff of USP Emalus Campus in 1991 where he held the post of Professor of Pacific Languages and excelled to Pro-Vice Chancellor until he retired on December 31, 2007. In view of of his contributions at USP, he was made Professor Emeritus and is a Fellow of the Australian Academy of the Humanities. Even though he has retired, Professor Lynch keeps himself very busy also as the Editor of “Oceanic Linguistics”, the most important scientific journal dedicated to publishing the most up-to-date research about all aspects of Pacific Language Studies.